Overuse of muscles unaccustomed to exercise, edema -- abnormal fluid buildup -- or an underlying medical condition can result in swollen legs and ankles during or after exercise. Although swelling can occur in your calves and thighs, lower-leg swelling is more common, due to gravity and fluid pooling. 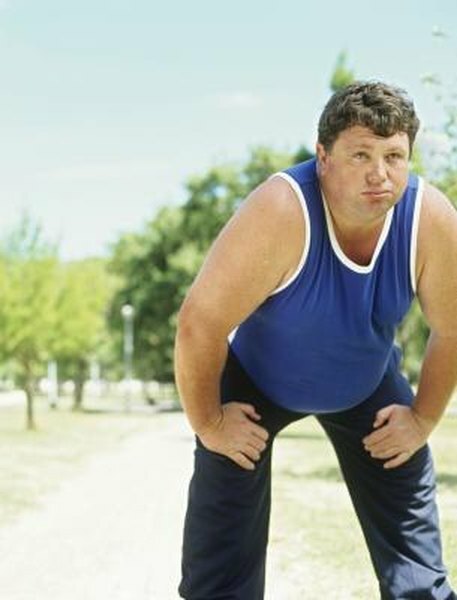 Factors increasing your risk of leg and ankle swelling are age, overweight and being out of condition. When your lower-leg muscle -- the tibialis anterior muscle -- becomes too big for its sheath, swelling and pain can result during heavy exercise. Because the front portion of your leg consists primarily of bone and non-elastic connective tissue, when the muscle on your lower leg swells from overuse, the muscle has nowhere to go. Swelling creates pressure within your leg and cuts off blood flow. Sudden onset, or acute, anterior compartment syndrome generally results from trauma, such as direct impact, tear or contusion, according to Sports Injury Clinic. Chronic anterior compartment syndrome develops over time and flares up during overuse. Rest periods generally relieve the pain temporarily, but heavy exercise causes the pain to return. Hot, sore, swollen legs during and after exercise may be caused by thrombophlebitis -- arterial swelling caused by a blood clot. While exercise generally supports good cardiovascular health and is a recommended treatment for thrombophlebitis, your medical provider can recommend the best treatment for you. According to M.R. Cesarone et al. in "Management of Superficial Vein Thrombosis and Thrombophlebitis: Status and Expert Opinion Document," it is best to remain active, as exercise reduces pain and cuts the risk of deep-vein thrombosis. Atherosclerosis, or hardening and narrowing of the arteries, also typically causes pain and swelling after exercise, according to the Surgical Care Associates. Rest and elevating your legs may relieve this post-exercise pain and swelling if the condition is mild, but medical treatment or surgical intervention may be necessary if the condition is persistent or severe. Edema, or retention of fluid, can cause swelling and puffiness in your legs. Exercise is often recommended as a treatment to relieve edema. However, exercise that involves standing for a long time can cause fluid to pool in your legs, causing swelling. Swelling may also occur after slow walking or other exercise without significant leg motion, such as playing catch. Vigorous leg motion helps prevent pooling fluid and increases circulation. Support hose, reducing salt intake and raising your legs higher than your heart when lying down can all reduce edema. If edema persists, consult your medical provider.